Protect the Baltic Harbour Porpoise in the South Baltic Sea Region, Sweden. The Baltic Sea harbour porpoise is the only resident whale in the Baltic Sea, but this population is “critically endangered”. In December 2016, the Swedish government designated a large area, where the harbour porpoises are thought to breed, as a Natura 2000 site. 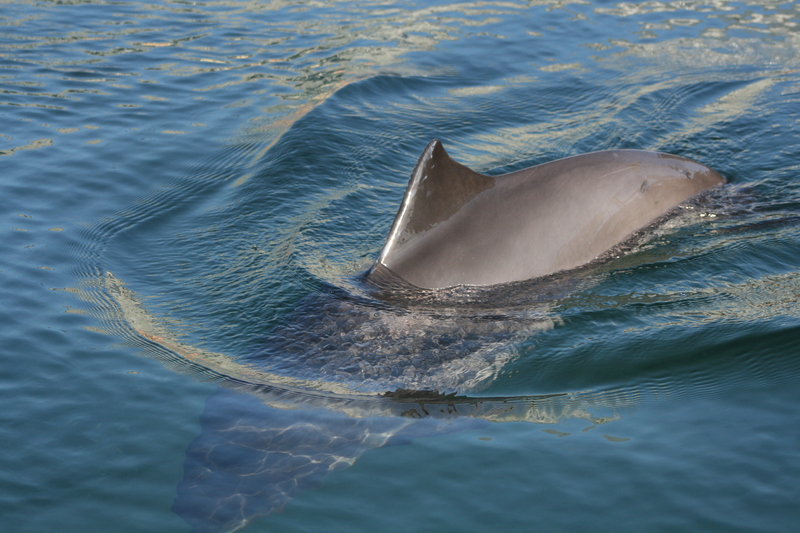 This project aims to develop management strategies and mitigation measures in cooperation with stakeholders in order to ensure the effectiveness of the protected area for the conservation of the harbour porpoise population. The Baltic Sea harbour porpoise is a subpopulation, listed by the IUCN and HELCOM as “critically endangered”. The primary threat to this species is by-catch in gillnet fisheries, but underwater noise from anthropogenic activities, environmental contaminants and ecosystem changes are also thought to affect the population status. Whilst Marine Protected Areas (MPAs) cannot address all of these threats, they are generally considered important instruments in the protection of marine mammals such as porpoises. The SAMBAH project (2010-2015) was the first to investigate the distribution and abundance of porpoises in nearly the entire Baltic Proper. The study helped identify a large area around the offshore banks in the Baltic Proper thought to be an important breeding site for the Baltic Sea population. This site is almost entirely situated in Swedish waters and was hence designated as a Natura 2000 site for harbour porpoises in December 2016 by the Swedish government. However, for the MPA to have real effects on the status of the harbour porpoise population, measures to mitigate threats need to be specified in a management plan for this area. Such mitigation measures could include, for example, fisheries regulations and limitations for shipping. This project will support the County Administrative Boards (CABs) in engaging stakeholders about implementing suitable mitigation measures through practical arrangement of meetings, funding travel for participants, supplying expert support when needed, and facilitating dialogue. The aim is for this support to result in management measures that are widely supported by stakeholders, increasing the chances of success. The project will also carry out communication activities through the use of social media as well as in cooperation with the Kolmården Wildlife Park, ultimately aiming at increasing environmental awareness to obtain public support for protecting the Baltic Sea harbour porpoise and encouraging politicians to take actions on management of the protected area. The main goal of this project is to establish a well-managed MPA covering the main breeding area of the harbour porpoises in the Baltic Sea in order to improve the status of the Baltic Sea population. The target groups for objective 1 and 2 are the key players in the process, i.e. the stakeholders and the authorities ultimately responsible for the management of the MPA. The target group for objective 3 is the general public and ultimately decision makers such as politicians, who are responsible for taking final decisions on the management of the area. The target group for objective 4 is CCB itself, to evaluate the project’s success, but also other NGOs who may want to carry out a similar project or be part of a similar process in another area and who may wish to learn from this project. The Baltic Sea Conservation Foundation is another target group for this objective, both as the financer and as an organisation, which may be interested in this type of process in the future.